Most of the firm's attorneys have spent the majority of their years in legal practice in a large firm setting and have extensive experience working on complex transactional matters and providing assistance and advice on business legal issues for local, national and international business clients. The depth and sophistication of our experience in transactional and general business legal matters, combined with our ability to offer our expertise at competitive rates, make King & Sommer, LLP a law firm of choice for businesses and entrepreneurs. The law office of King & Sommer, LLP will represent your business legal matters. 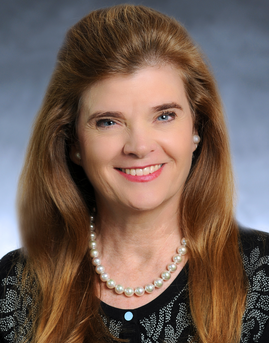 Janet L. King has over 34 years of legal experience, focusing her practice on corporate and business transactions, including representing business owners, non-profit organizations, health care providers and women-owned and minority-owned businesses. She also serves as a mediator. A native Texan, Jan graduated from the University of Texas in Austin in 1975 with honors, and remained in Austin to obtain her law degree from the University of Texas School of Law in May 1978. She worked as a briefing attorney for Honorable Mary Lou Robinson, Chief Justice of the Texas Court of Civil Appeals sitting in Amarillo, Texas, and then served as a Law Clerk for United States District Judge Mary Lou Robinson when she was appointed to the federal bench. After her clerkship, Jan joined the law firm of Underwood Wilson Berry Stein & Johnson in Amarillo in 1980 as an associate and later a partner. In 1990, Jan and her family relocated to San Antonio and she joined the law firm of Small, Craig & Werkenthin, P.C. as a partner in their San Antonio office, and later became the Partner-in-Charge of that office. In 1999, when Small Craig & Werkenthin, P.C. joined the law firm of Jackson Walker LLP, she became a partner in that firm and remained there until 2007, when she left to form King & Sommer, LLP. Jan attended and completed mediation training at The Center for Public Policy Dispute Resolution at The University of Texas School of Law. Jan has over 34 years of experience representing business entities, business owners and boards of directors in a wide variety of matters including acquisitions, mergers, conversions, formation, entity governance, shareholder agreements, contracts, asset preservation planning, management succession planning, estate planning and employment. Jan also represents non-profit and tax-exempt organizations, and minority and women-owned businesses. She particularly enjoys representing clients over the long term, being involved in their businesses and counseling on day-to-day as well as major issues. Jan has been rated by her peers with the Martindale-Hubbell "AV" rating, the highest rating for both skill and integrity.